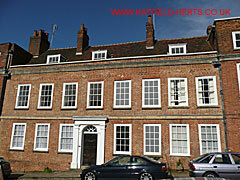 The Window Tax lasted over 150 years and like all taxes was not popular with the people who had to pay it. 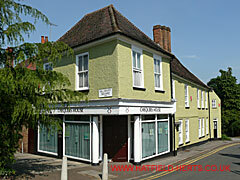 Evidence of the action that some took to reduce their tax bill can still be seen in Hatfield today. 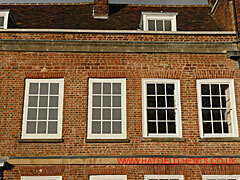 The Window Tax was first introduced in 1696 during the reign of King William III. It replaced the Hearth Tax – a tax based on the number of fireplaces in a property. Logically, larger properties would have more, so it worked along the lines of the banding system in Council Tax today. It could also be considered to be an early example of means testing – an attempt to levy a tax based on people's wealth. As the name suggests, the tax was charged according to the number of windows people had in their house. 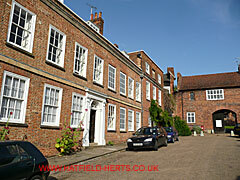 Using the same logic as Hearth Tax, larger properties would have more windows. When it started there were three bands. However, the amount of tax charged and the number of windows in each band changed over time – Window Tax was only abolished in 1851 (when it was replaced by House Duty). Paying tax has never been popular and people have always sought to pay as little as they can – Tax Avoidance, which is legal (as opposed to Tax Evasion which is a criminal offence). As your tax band depended on the number of windows you had, people just over a band limit would brick up a window or two to ensure they stayed in the lower band. 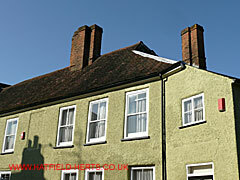 At least two properties in Old Hatfield show signs of bricked up windows. Shadow of a neighbouring chimney points to a bricked up window. Another view of this building is shown at the top of the page, it has a more elegant treatment of the missing windows – effectively painted them back in.